The New Shoots Prize is closed. The Red Room Company, Rochford Street Review, and Royal Botanic Garden, Sydney called for submissions for the New Shoots Poetry Prize 2016 and the New Shoots Royal Botanic Garden, Sydney Poetry Prize 2016. Poems to be considered for the New Shoots Royal Botanic Garden, Sydney Poetry Prize 2016 must relate specifically to plants in the Royal Botanic Garden, Sydney. For both the New Shoots Poetry Prize 2016 and New Shoots Royal Botanic Garden Sydney Poetry Prize 2016, there will be a winning poem and a Highly Commended poem chosen for both categories. The winning and highly commended poems will be published online in issue 20 of the Rochford Street Review, and here, on The Red Room Company website. All submissions will be published on the New Shoots Royal Botanic Garden, Sydney website. Poems for the Royal Botanic Garden must be suitable for a public site. 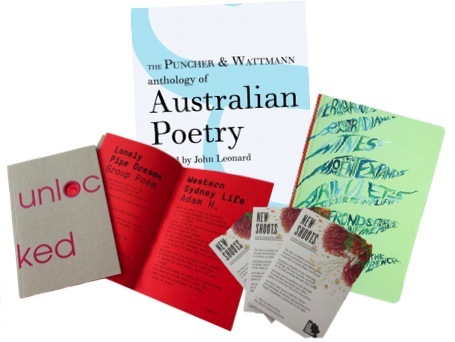 The winners received a Corban & Blair Fernery journal, and a poetry anthology from Puncher and Wattman. Whilst Highly Commended poets will also receive an Unlocked anthology of poems and a New Shoots seed pack. Dr Tamryn Bennet, Director of The Red Room Company and Zalehah Turner, Associate Editor of Rochford Street Review. In collaboration with Rochford Street Review and the Royal Botanic Garden, Sydney, we are delighted to annouce the winning and highly commended poets for the New Shoots Poetry Prizes. We received over 170 submissions for the poetic garden from poets and plant-lovers across Australia as well as Manus Island, Zimbabwe, New Zealand, Ireland and the USA. Many of the entries were general and generous contributions, others were specifically focused on plants and histories of the Royal Botanic Garden as part of the New Shoots Prize, and all are conscious of the critical, spiritual and aesthetic role plants play on our precarious planet. Thank you to all contributors and congratulations to the New Shoots shortlisted poets! New Shoots was launched at The Sydney Writers' Festival, in collaboration with the Royal Botanic Garden Sydney and The Planthunter. New Shoots is a project celebrating and cultivating poems inspired by plants to enrich cultural connections with the environment.